Due to a busy lifestyle and in the care of the baby after pregnancy, the mother does not have time to take care of herself. Because of this, she often faces some physical and mental problems. 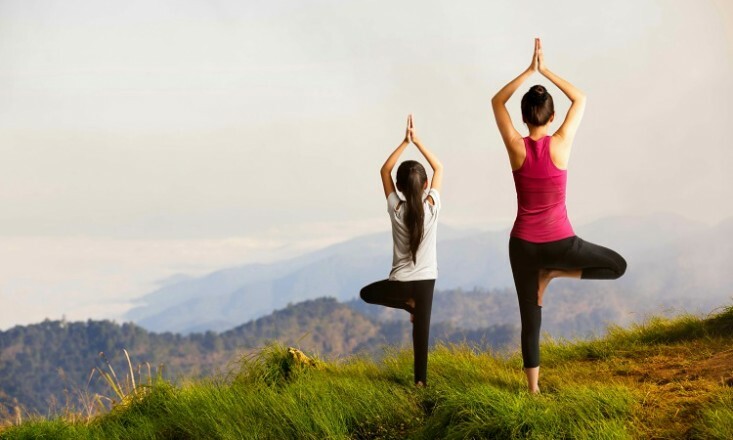 The doctor says that after pregnancy, it takes a lot of time for the women’s body to be completely healthy, which is why the best remedy is to fight physical and mental problems for women after delivery is Yoga for mothers. The desire of all married women is to give birth to a child and to have children’s happiness, but do you know that even after delivery with a pregnancy, a woman has to undergo many difficulties. There are many changes due to the hormonal changes in the body during pregnancy, but after delivery, there are many changes in the body. To get rid of these after pregnancy and after delivery problems practice yoga for mothers on a daily basis. You can start practicing yoga for mothers after six weeks of normal delivery. After your baby is born, you may find that stairs are not as easy as it was a year ago. Apart from this, in other normal work, you may get tired early. And this is a very natural thing as in the last one year; your body has gone through a lot. This helps to emerge from the opposite. This seat provides a pull to your entire body. Ends light cramps in the shoulders and chest. Whether you are breastfeeding or using a bottle, many new moms experience pain in the neck and shoulders. The result of several hours of bending forward to feed the baby is this. As a result, due to vampire status, there may be a pain in the neck and shoulders. Bhujangasan provides relief from pain in the waist. Every new mother must do this. Keep one thing in mind that your body should be completely healthy and have enough strength to start yoga for mothers after your baby’s delivery. In the beginning, pay special attention to the boundary of your body. If your strength has not come back completely then do not put too much emphasis on the body. In the beginning, yoga for mothers practice aims to get more rest and relaxation after delivery. Gradually your body will get stronger and you will be able to do more posture. With regular practice, you will come back in the same shape as before. If you have a cesarean delivery then you may need more time before starting doing yoga and will have to pay extra attention will practice yoga poses.